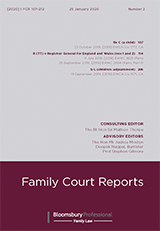 Established in 1987, the Family Court Reports have long been one of the most well-regarded set of family law case reports. In relaunching this esteemed series, we have redefined the reporting criteria to ensure careful case selection that provides coverage of the most significant cases for family law professionals. 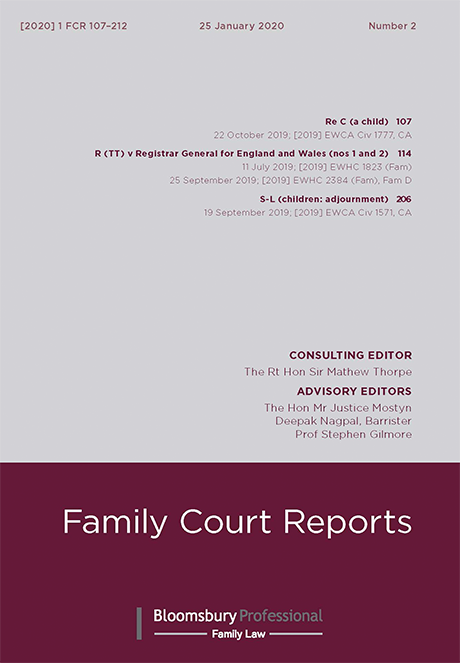 Published twice-monthly, with quality headnotes, they cover precedent setting rule of law, cases from the higher courts and cases deciding essential practice points from all levels of court. The Family Court Reports are currently first to the market and provide you with a focused selection of the core family case reports quickly and accurately, bringing you optimum case currency and a consistent clarity of detail.